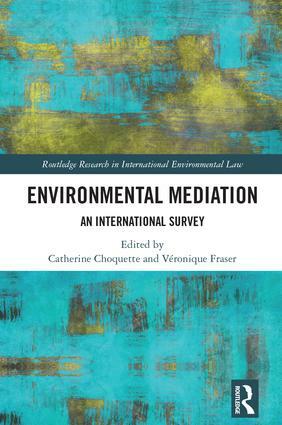 Catherine Choquette is a Full Professor of Law at the University of Sherbrooke where she teaches at the School of Law and at the School of Environment. She holds a Doctorate in Law from the University of Chicago and a Master in Biology from McGill University. She is a lawyer called to the bar of the Province of Quebec and a member of the Quebec Institute for Mediation and Arbitration. Veronique Fraser is an Assistant Professor of Law at the University of Sherbrooke where she teaches in the Master in Dispute Prevention and Resolution. She holds a Doctorate in Law from the University of Ottawa, a Master in Transnational Law and Common Law from the University of Sherbrooke and a Master of Laws in Dispute Resolution from Pepperdine University School of Law. She is a lawyer called to the bars of the provinces of Quebec and Ontario and an accreditated mediator by the Quebec Institute for Mediation and Arbitration.